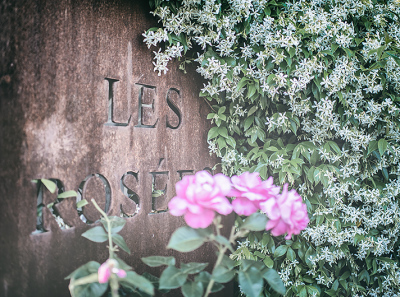 Welcome to Les Rosees, an inviting guest house located opposite the picturesque medieval village of Mougins. Soothingly simple yet refined, this authentic Provencal Mas is a perfect haven for both romantic and family retreats. The 400 year old bastide has been lovingly renovated using only ancient restoration techniques. A mix of beautiful antique furniture and contemporary luxury provide guests with an authentic Provencal experience in endulging comfort. At Les Rosees we pride ourselves with regional and traditional Provencal dishes sourced in the mornings at the surrounding village markets. Come take a rest by the swimming pool while we prepare your meals, read a book under the olive tree, enjoy a siesta on a lounge chair or wander through our Mediterranean rose garden. Take time and replenish yourself! The romantic Isadora suite & the lofty Serguey suite are our two best and most spacious suites. Situated at the top level of the property and overlooking both our garden and the medieval village of Mougins, these suites offer uncomparable decoration, generous size, and large King size beds. 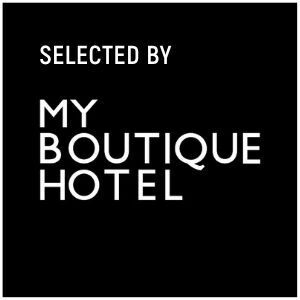 The suites St Honorat and St Marguerite are our most family friendly suites. The large volumes allow space for extra beds. The easy access to the garden mean that children can enter the room easily. The separation doors between bedrooms give extra privacy at night. The unique Gipsy Caravan is a wonderful extravagant experience, with a large touch of confort and luxury. Nestled in the garden, this is a room to get away from the world. 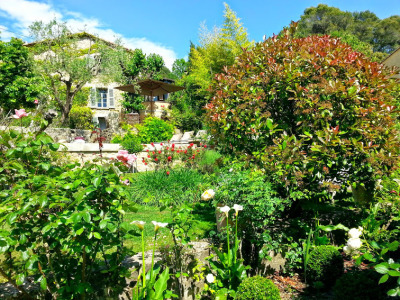 Our Quaint and perfectly preserved village is situated just 15 minutes north of the sea side of Cannes and 30 minutes west from the airport of Nice. 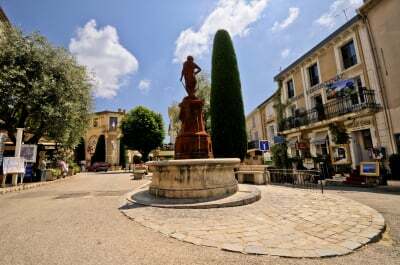 The world has come to know Mougins for its fine cuisine and also because Picasso made it his home village. Life is always relaxed at the cafes, art galleries or on the boule court overlooking the spectacular range of Alpine mountains. Taking time in Mougins is a lifestyle treat ! 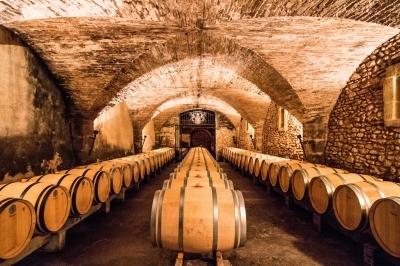 West of Mougins via the A8 highway is the region of the Var and its numerous wineries. Drive for just 40 minutes to arrive at the first vinyards and wine tasting houses. 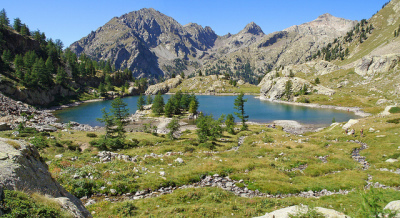 Not all seasides are the same .. Our staff will take pride guiding you to some of the better spots on the french Riviera. Fantastic views after a hike, the best sand, the most professional private beach with loungers and drinks..
Driving north for just 45 minutes will take you to the nearest mountains. Elevation in villages such as Gourdon are 720 meters/2363 ft ! Enough height to give you panoramic views on the entire french Riviera and sometimes all the way to Corsica ! Drive another hour inland and you will discover a fully alpine environment. Due to its warm climate year round, the French Riviera is able to sustain numerous species of plants both mediterranean and exotic. Public gardens are available in different part of the region. The most famous being th Ephrusi Rotchild but also the Jardin Exotique d'Eze, La Villa Thuret and many more. 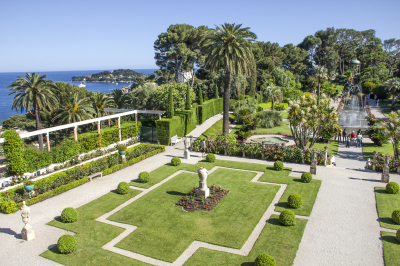 In many cases the garden is help in multimillion homes that will give you an insight into the special world of the Riviera. 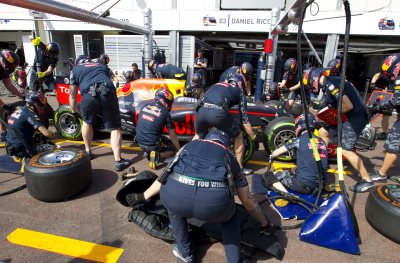 Monaco is the undisputed jewel in Formula 1’s crown, the race every driver wants to win, a spectacular charge through the narrow, unforgiving streets of the glamorous Mediterranean principality. From Casino Square, through the tunnel, past the luxurious yachts and La Rascasse, Monte Carlo is a circuit of legendary corners seeped in history, creating a challenging circuit that Nelson Piquet described as like "riding a bicycle around your living room". 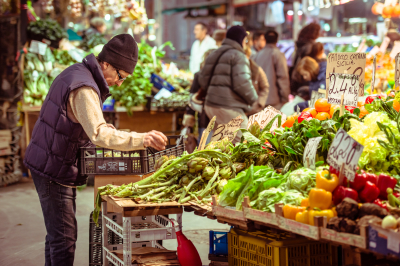 Visiting local markets is a 'must do' on the french Riviera. Whether you are here to buy or just wanting to experience the unique energy of these human/product gathering, we can advise you on the day of each market in each surrounding villages. Change country for the day ! Vintimiglia is just 45 minutes drive east on the highway yet you will experience and incredible cultural difference just by crossing the border. A different language, different customs, different architecture.. This is unique & refreshing experience. 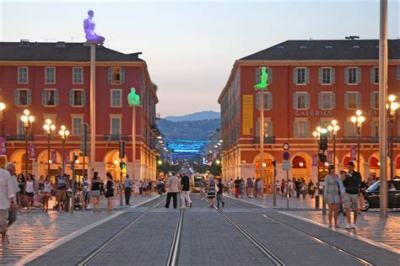 A multitude of Artist came through the Cote d'Azur to paint and live.. Museums are now errected in their name with original work of Art as permanent exhibition . 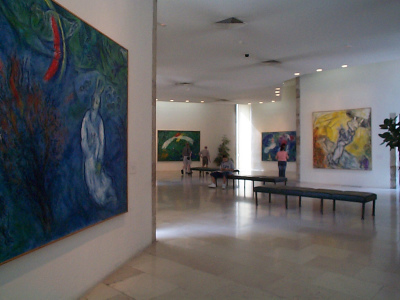 More famous artists are Picasso, Chagall, Fernand Leger, Kandiski, Modigliani, Renoir, Matisse.. Rarely does one small region hold so many art galleries. When on holiday it is sometimes hard to sit back and do nothing ! 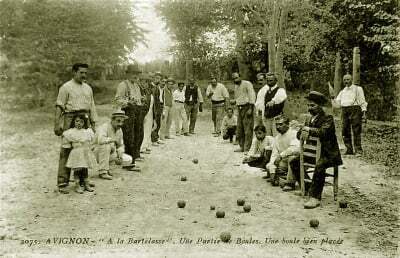 A good compromise is playing "boule", the provencal game par excellence. Let the day go by, and discussions evolve with a glass of Pastis in our village square. Many more activities are available on the French Riviera .. Thalasso, Golf, Hiking and much more which we will happily share with you.